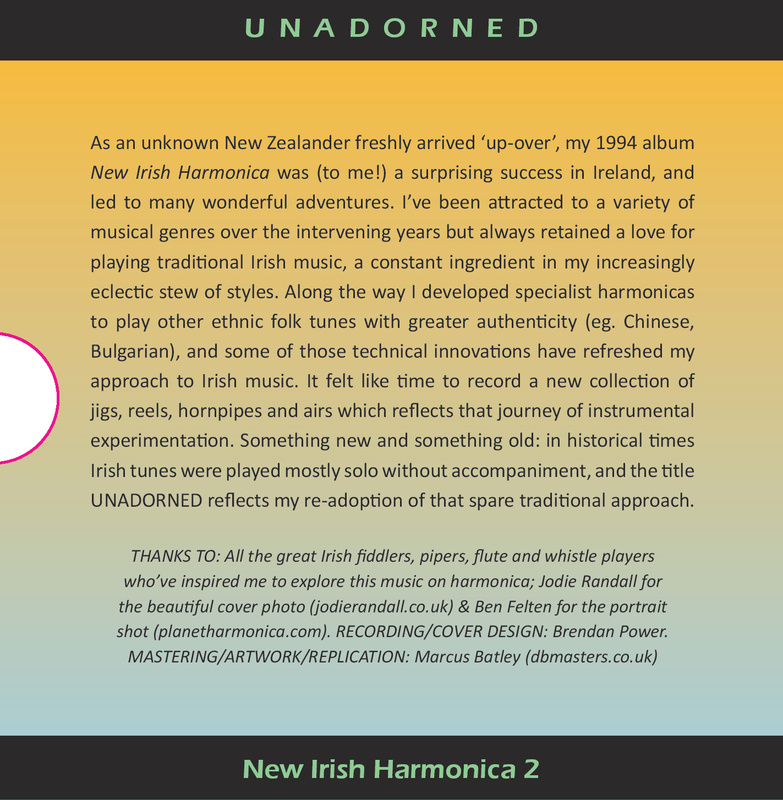 As an unknown New Zealander freshly arrived 'up-over', my 1994 album New Irish Harmonica was a surprising success in Ireland, and led to many wonderful adventures. 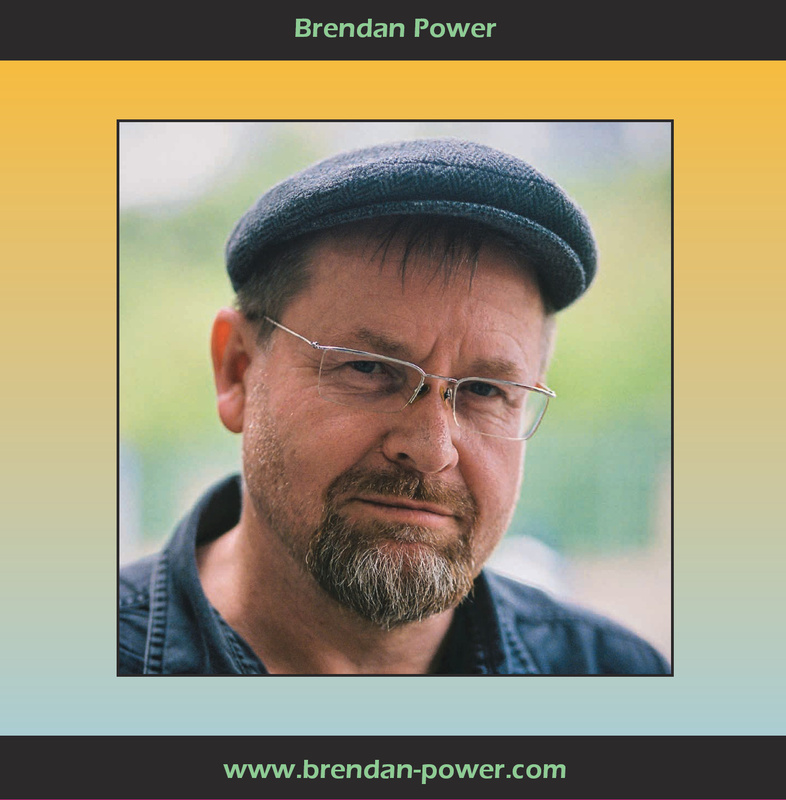 I've been attracted to a variety of musical genres over the intervening years but always retained a love for playing traditional Irish music, a constant ingredient in my increasingly eclectic stew of styles. Along the way I developed specialist harmonicas to play other ethnic folk tunes with greater authenticity (eg. Chinese, Bulgarian), and some of those technical innovations have refreshed my approach to Irish music. 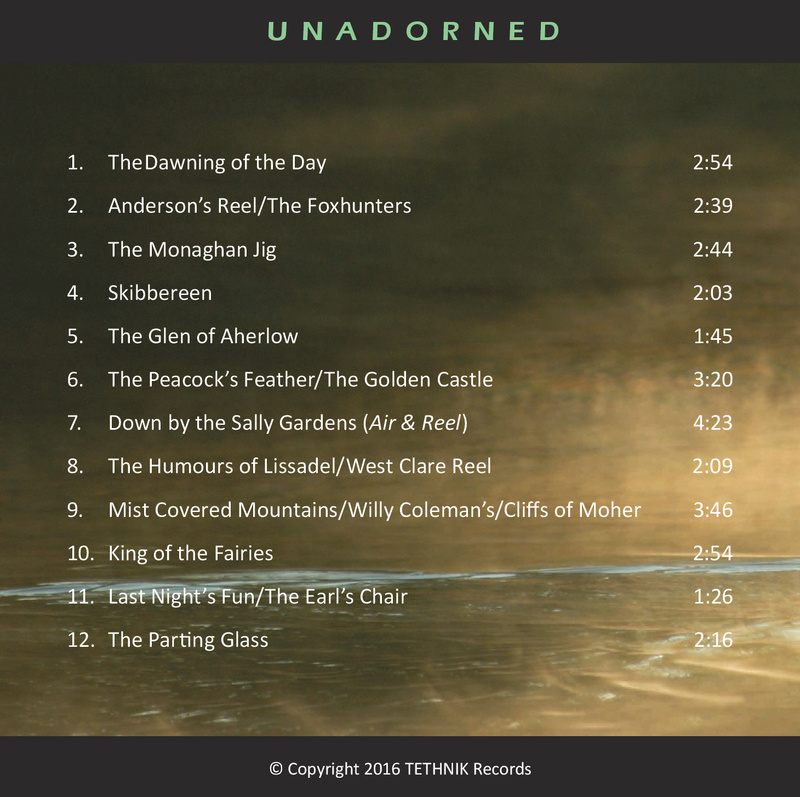 It felt like time to record a new collection of jigs, reels, hornpipes and airs which reflects that journey of instrumental experimentation. 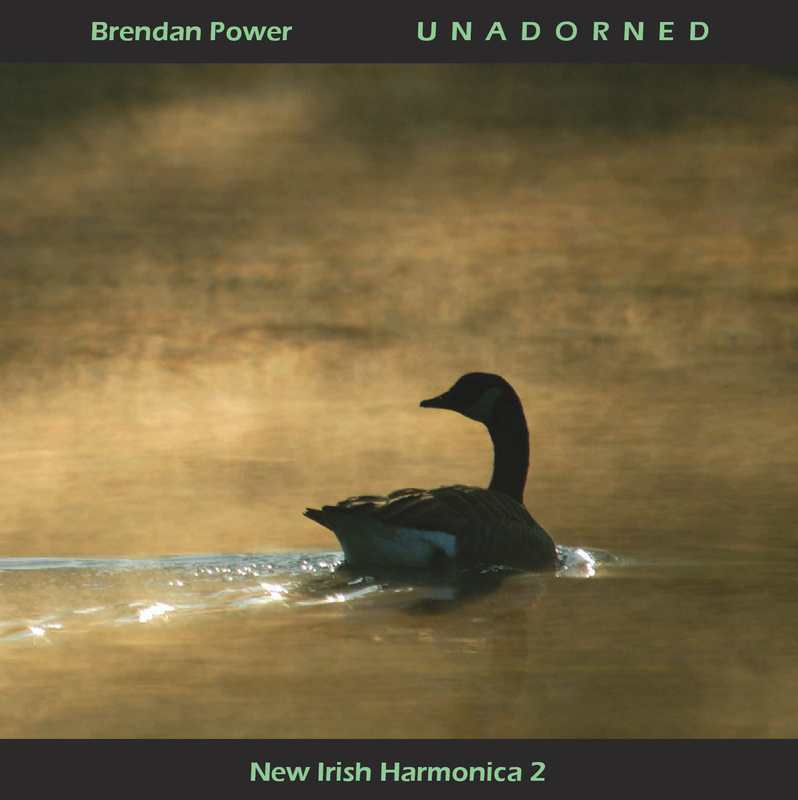 Something new and something old: in historical times Irish tunes were played mostly solo without accompaniment, and the title UNADORNED reflects my re-adoption of that spare traditional approach.